In the 1960's, San Francisco jazz writer Ralph Gleason produced and hosted a series for NET-TV, a precursor to PBS. These half-hour programs have been preserved to DVD, 3 or 4 shows to a set. Most of these shows include a short interview with the leader. John Coltrane (tenor saxophone); McCoy Tyner (piano); Jimmy Garrison (bass); Elvin Jones (drums). Sonny Rollins (tenor saxophone); Jim Hall (guitar); Bob Cranshaw (bass); Ben Riley (drums). B.B. King (guitar); Mose Thomas (trumpet); Lee Gatling (tenor saxophone); James Toney (organ); Sonny Freeman (drums). Gerry Mulligan (baritone saxophone); Bob Brookmeyer (tromone); Wyatt Ruther (bass); Gus Johnson (drums). Art Pepper (alto saxophone); Frank Strazzeri (piano); Hersh Hamel (bass); Bill Goodwin (drums). Art Farmer (trumpet); Jim Hall (guitar); Steve Swallow (bass); Walter Perkins (drums). Charles Lloyd (flute, tenor sax); Keith Jarrett (piano, soprano sax); Ron McClure (bass); Jack DeJohnette (drums). Richard Whitsell (trumpet), Winter (alto sax), Jay Cameron (baritone sax), Warren Bernhardt (piano), Arthur Harper, Jr. (bass), Ben Riley (drums). Bola Sete (guitar), Guaraldi (piano), Fred Marshall (bass), Jerry Granelli (drums). John Lewis (piano); Milt Jackson (vibraphone); Percy Heath (bass); Connie Kay (drums). Paul Desmond (alto saxophone); Dave Brubeck (piano); Gene Wright (bass); Joe Morello (drums). 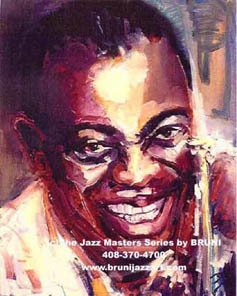 Thad Jones (cornet); Snooky Young, Richard Williams, Randy Brecker, Danny Moore (trumpets); Garnett Brown, Benny Powell, Jimmy Knepper, Bob Brookmeyer (trombones); Jerry Dodgion (alto saxophone); Jerome Richardson (alto and soprano saxophones); Seldon Powell, Eddie Daniels (tenor saxophone); Pepper Adams (baritone saxophone); Roland Hanna (piano); Richard Davis (bass); Mel Lewis (drums). 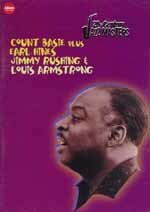 Count Basie (piano); Norman Keenan (bass); Freddie Green (guitar); Sonny Payne (drums). Earl Hines (piano); John Green (bass); Earl Watkins (drums). 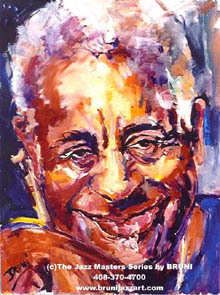 Jimmy Rushing (piano and vocals). Bill Chase, Dave Gale, Billy Hunt (trumpets); Phil Wilson, Henry Southall, Bob Rudolph (trombones); Woody Herman (clarinet); Sal Nistico, Jackie Stevens, Bobby Jones (tenor saxophones); Frank Hittner (baritone saxophone); Nat Pierce (piano); Chuck Andrus (bass); Jake Hanna (drums). 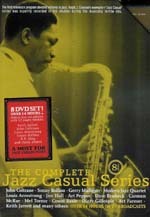 This deluxe box set contains the complete collection of Ralph Gleason's Jazz Casual TV program performances. 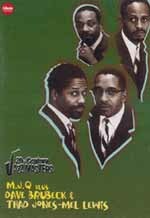 This limited edition set houses 8 DVD's featuring the legendary first-ever jazz series in the history of American TV. 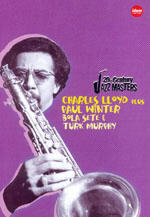 Includes 28 star-studded episodes by such luminaries as John Coltrane, Sonny Rollins, B.B. King, McCoy Tyner, Gerry Mulligan, Art Farmer, Charles Lloyd, Paul Winter, Turk Murphy, Keith Jarrett, Woody Herman, MJQ, Dave Brubeck, Paul Desmond, Thad Jones-Mel Lewis Orchestra, Dizzy Gillespie, Mel Torme, Count Basie and lots more.